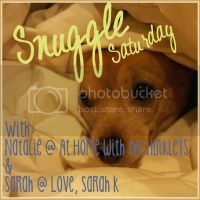 Welcome to Snuggle Saturday, Week 2! Today we are sharing our most embarrassing stories! The year was 1994, and I was a nice little 12 year old 7th grader in jr. high. Fun times, yes? Now I know this happened NINETEEN years ago, but when I re-live it in my mind my face turns flush. I was a shy kid. I am a pretty shy adult too, at least until I get to know you. Most people think I am a total B when they meet me because I don't talk to them, but it is just because I am scared. I always think people won't like me until I 'win them over' in a way, so I want to learn what people are about before I expend effort communicating with them until I can figure a style that will charm them. It is very scientific, and I am also a weirdo. Tell me something I don't know! 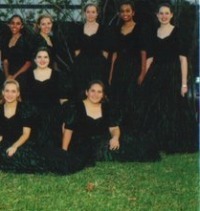 So when I was in 7th grade I joined the choir, because I totally rule at singing. Seriously, like a combination of Fergie and Jesus. (lol) Singing in a choir is perfect for the shy kid who loves singing, because you aren't singled out. Naturally since I was an easily embarrassed kid I would nearly make myself ill with nervousness every time I was required to sing by myself. Plus our choir director was this youngish maybe 25 year old guy, and all young guys scared me back then too. Then I turned 14 and all bets were off...but I digress. I am totally going to date myself, but back in 1994 cassette tapes were a thing, and we would have to bring blank ones in to get accompaniment music for our songs that we would perform for solo & ensemble contests and stuff. We'd bring our director the blank tape and he'd make us copies of our music so we could practice at home. Easy enough. One of these times I needed to bring a tape in, and I had forgotten the whole entire week. So I just grabbed one of the several I had, and I really quick checked to make sure it wasn't recorded with anything important on it like all my favorite songs I taped from the radio. That is old-school bootlegging right there... But the tape was blank, so I dropped it off with the choir director that day in school, and thought nothing of it. Well I got my tape back from school the next week and my choir director says - here you go, that was some good Mariah Carey on there ::smirk::. "uuuh, that wasn't me, that was my sister..." ::runs out of the room:: (I have no sister). I thought as I ran to catch the bus "oh crap, I bet I am singing along to a dang Mariah Carey song on that tape, whhhhy didn't I check the other side, why???" Then even more terrible thoughts come, what if he thought I had that song on the tape on purpose?? Like I wanted some notes or feedback on it??. Why am I so weird, who does this?! OMG, I am beyond embarrassed, I could have just died. So as soon as I get home I check the tape to assess the damage. OMG. I was singing along to Mariah Carey's Emotions (to see if I could hit those high notes of course). (could I have picked a lamer song?) So I am listening. I hear my voice making these inhuman shrieks trying to hit those Mariah notes. :\ I absolutely want to die knowing that ANYONE let alone my choir director had heard this. I sounded like a pterodactyl in distress. He knows I don't have a sister. I could just die. I don't know how I got through Jr High choir having had this happen, I don't think I ever looked that guy in the eye again past that day. I think I might be embarrassed still if I ran into him on the street or something! To this day I really get nervous singing solo if others can hear. Granted this is not my most embarrassing moment of my life, because that is totally not appropriate for the internets, especially because it happened in my adult life and it is totally shameful, but this is def the most embarrassing story of my childhood. The plus side of having these humiliating experiences behind me, nothing is really all that embarrassing anymore. So there's that. lol. I am looking forward to reading everyone's elses embarrassing stories. I hope they aren't as bad as mine! Haha...oh no! Middle school years are the WORST! I remember the days of recording your favorite songs off the radio. I also used to record myself singing, but I wasn't that good. I would have hated for anyone to hear those. Good thing no one really has tape players anymore. HOW have I never heard this story??!?!?!?!? hahahahahahahaha!! For some reason it reminds me of that time in COLLEGE where we did a "sniper-style" stakeout outside of Payless Shoes so we could pick up your last pay check :) hahahahahaha!